The Confederation of All India Traders (CAIT) while submitting its objections and suggestions to the draft of e-commerce policy has greatly stressed the need for formation of an empowered regulatory authority to regulate and monitor the e-commerce business in India. The regulations should be imposed on domestic e-commerce players as well. It has also suggested that Cash on Delivery (CoD) system in e-commerce should be completely banned. CAIT has supported the principle of data localisation and creation of a trustworthy, transparent and effective e-commerce marketplace having equal opportunities for small traders to participate fearlessly in order to moving small business to digital landscape. It has demanded Government to carve out a equitable policy to encourage small traders to join e-commerce business. CAIT has also called for a central registration of each e-commerce player indulge in business through any kind of digital mode. Any kind of trading or providing services through e-system should be brought under the ambit of e- commerce policy and regulations. B C Bhartia, CAIT National President and Praveen Khandelwal, Secretary General while submitting memorandum of suggestion to the Government stressed upon the dire need for a judicial or quasi-judicial authority having enforcement well as adjudicatory powers to give effect to the prevailing e-commerce policy in India. Issues that are faced with this sector like immense capital dumping, loss selling, deep discounting, exclusivity etc., which needs to be curbed. However, not having a regulator/judicial/ quasi-judicial authority like we have in other jurisdiction, would render this policy framework as a paper/toothless tiger. The draft policy is a welcome step in the right direction in order to ensure that regulations made in this sector are not contravened, or otherwise circumvented by the dominant e-commerce players and a equal level playing field and fair competition can be created for all stakeholders. The ‘Achilles Heel’, so to say, for the regulation of the e-commerce sector has never been a lack of legislation, but rather a lack of enforcement of the existing legislation. CAIT said, one of the solutions identified by the Draft Policy, for instance, has been the setting of the Standing Group of Secretaries on e-commerce (SGoS) as a body to recommend policy changes. What has completely been overlooked, however, is that while the SGoS can recommend policy changes to meet the transient nature of the e-commerce sector as it stands currently, the SGoS would never be in a position to actually enforce any policy. Therefore, a regulatory authority is much needed to enforce the policy in its true letter and spirit. E-commerce, as a sector, is growing at an exponential rate in India. Majority of the growth and success of e-commerce can be attributed to innovation stemming from increased dependence and priority accorded to value-driven data and network effects resulting from positive feedback loops. The policy has rightly identified that Once a certain scale is reached, it becomes virtually impossible for the ‘second mover’ , on its own to, make an entry in this ecosystem. CAIT stressed the need of imposing e-commerce policy and regulations on all sorts of domestic e-commerce companies doing business through digital mode to have equity in e commerce marketplace. 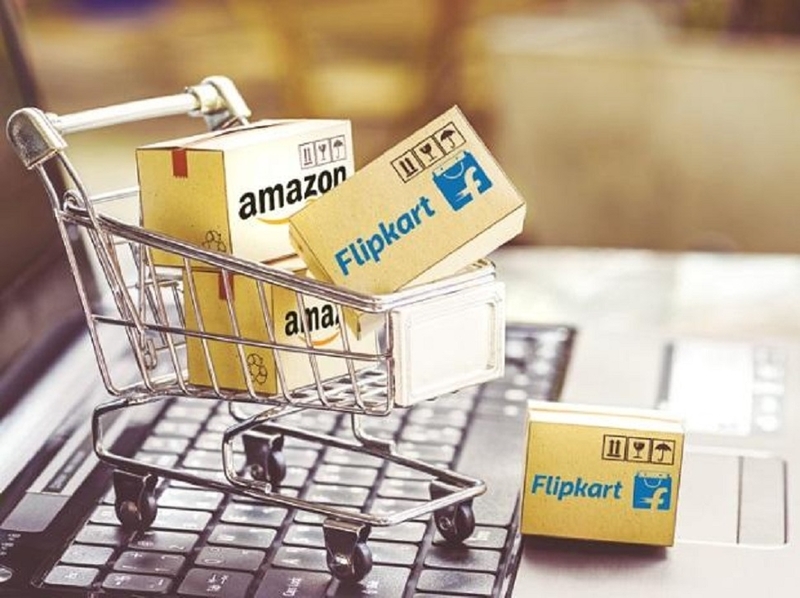 If this is not done, there will be no meaning of policy as whatever malpractices being conducted by global e- commerce players will stand continued by domestic e-commerce players defeating the very purpose of e commerce policy. CAIT further said that e-commerce being designed completely on e-system, the practice of CoD should be completely banned and all payment transactions should be through digital mode. While supporting data localisation, CAIT said that the Draft Policy has laid considerable stress on the importance of data, and rightly so. Data is one of the most (perhaps the most) valuable assets in the digital economy. The Draft Policy clearly recognises this as it lays emphasis on the many ways that data is used by corporation with the capacity to undertake large scale data analysis to make windfall profits. Thus, it can be observed that large e-commerce entities enjoy unqualified comparative advantage as incumbents in the market who have access to vast swathes of data that new entrants or other competitors may not possess. The value of data collection and processing has been accorded prime importance, In blatant violation of the extant FDI Policy as clarified through Press Note 2 of 2018, it is incumbent on this panel to examine the aforesaid submissions and to ensure that a situation of complacent noncompliance by such entities can be remedied through concrete enforcement effected through a judicial or a quasi- judicial body equipped to deal with issues arising in this sector so as to remedy the continued prejudice being faced by small traders, MSMEs as well as start-ups to benefit from an inclusive growth of e-commerce.